Where can I purchase cards? Good news! Trading cards are easy to find, although the best place for collectors to buy cards is in a local hobby card shop, where you have the advantage of viewing a variety of card products and tapping into the expertise of the store owner. You will find more than just trading cards at these shops - you can also get collecting supplies such as card holders, collector’s albums, insert pages and much more. Store owners are there to answer questions and assist you with your personal collecting needs. To find an Upper Deck Certified Diamond Dealer near you, visit Upper Deck’s Store Locator. The internet makes purchasing trading cards simple from the convenience of your home. 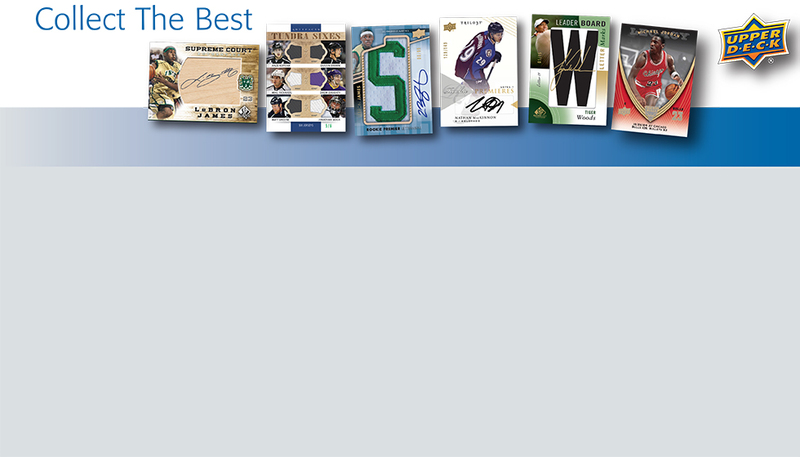 Upper Deck has a select group of Authorized Internet Retailers we recommend to our collectors. Check out these online partners who sell both new releases and older Upper Deck trading cards. Another new online trend increasing in popularity is online group breaks, where collectors can buy spots in box or case purchase to help keep costs down or try out something new. Take a look at the list of Upper Deck’s Authorized Group Breakers, and learn more about how online group breaks work! For many die-hard collectors, there is no greater thrill than getting out and attending a sports card and memorabilia show. You can find Upper Deck at sporting events like The National Sports Collectors Convention, The Sports Cards & Memorabilia Expo, GenCon, ComicCon and many more. 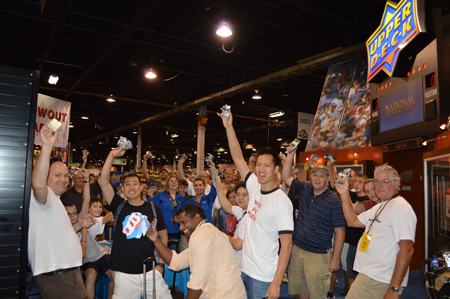 Take a look at some sample activities that Upper Deck brings to fans at these trade shows. Many retail stores also carry trading cards. While some of these products can be found in a section near the checkout register, many of the larger stores have expanded sections devoted entirely to trading cards and collectibles. If you’re looking to sell or trade cards, a good place to start is the internet. There are a variety of online communities where you can interact, buy, sell and trade with other collectors. Several links to these communities can be found at www.upperdeckblog.com. Card shows are another good venue for selling and trading cards. These shows will usually have a number of dealers and collectors who may be interested in what you have to offer for a sale or trade. The same often holds true for hobby stores. Instead of selling off your cards or collection, you can donate them to a worthwhile cause like “Cards2Kids,” who repackages donated cards and shares them with a new generation of collectors. There are a variety of great causes like Cards2Kids out there, who can even get you a tax deduction for your donation.